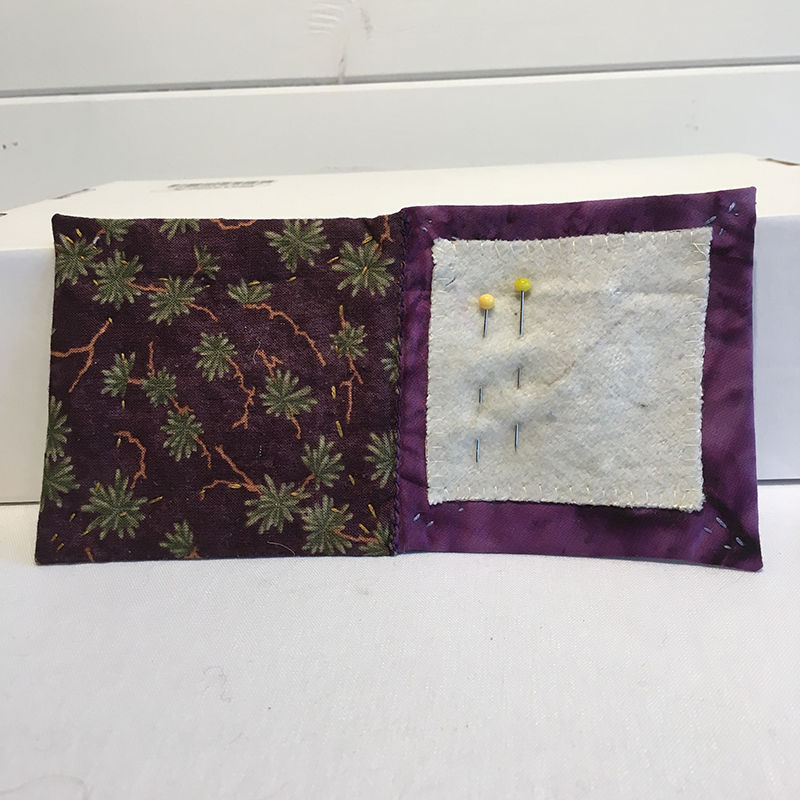 Locally handmade from upcycled silk ties, with a contrasting cotton backing, each pin case is made up of two individual, quilted squares. 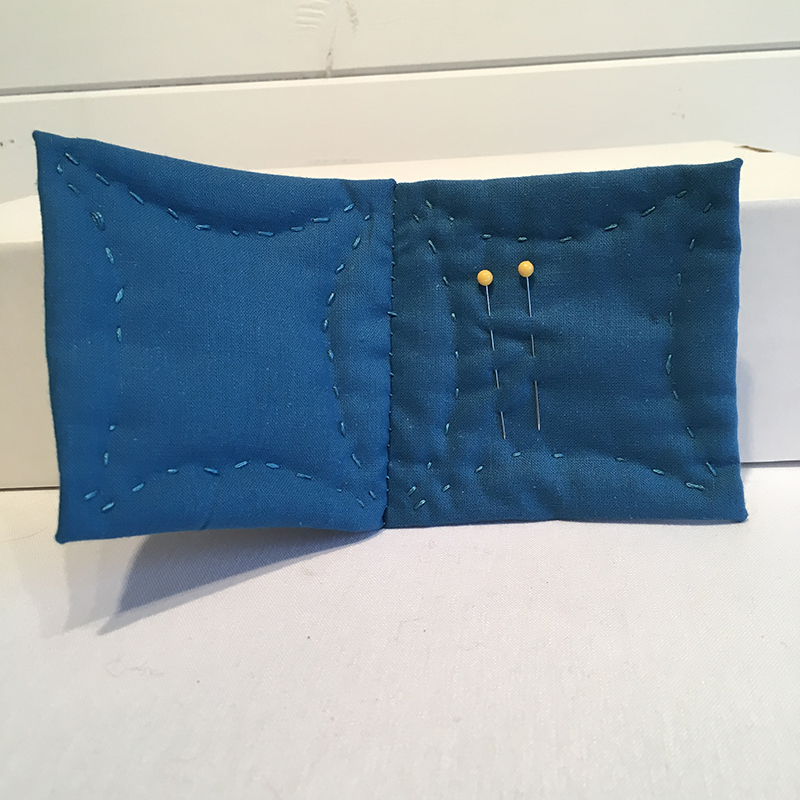 The cases are made from two 9cm/3½ inch squares. 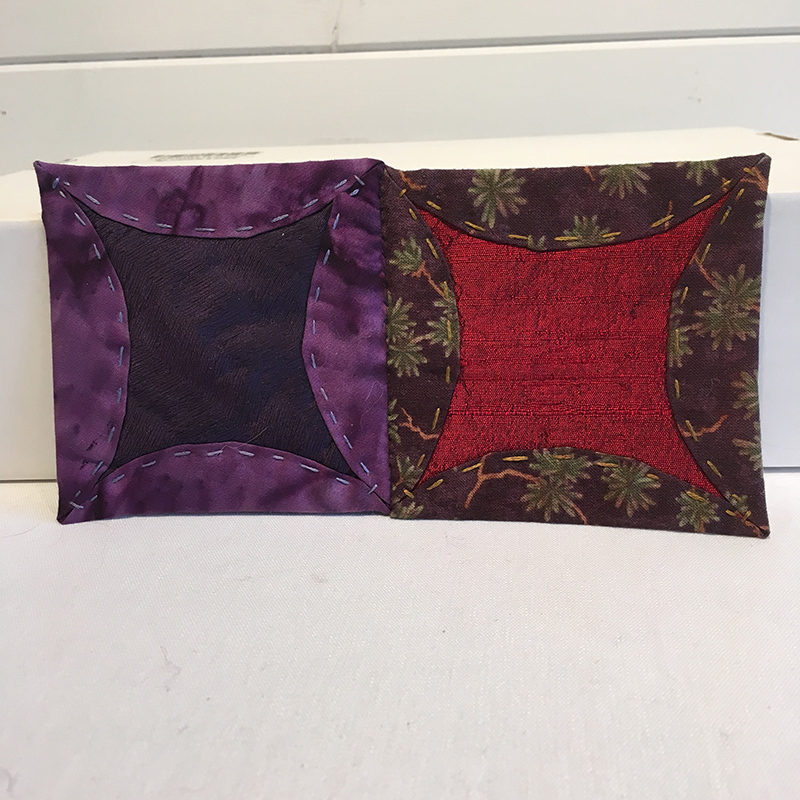 Each square is hand-sewn from an upcycled silk tie, is quilted, and finished with a contrasting, 100% cotton backing.